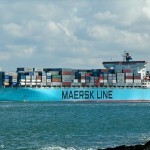 The 300 meter long, 88700 dwt container ship Maersk Kampala caught fire while transiting the Suez Canal. 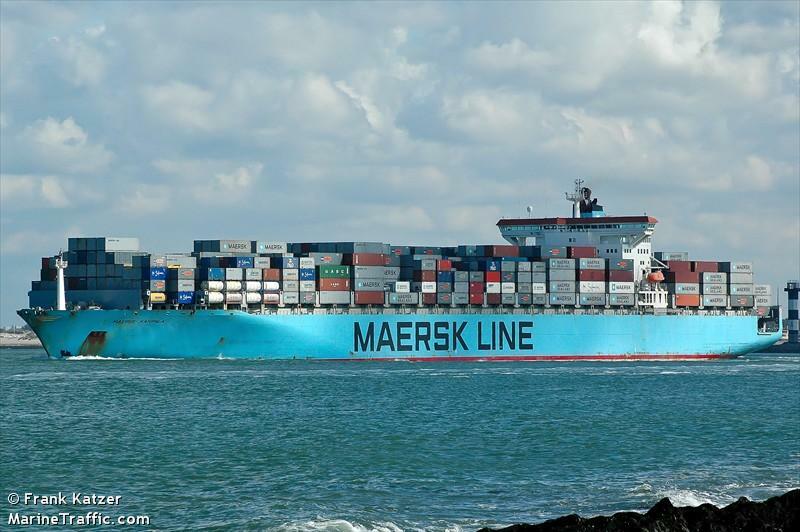 The Maersk Kampala departed from Jeddah with some 4,000 containers when two containers on the bottom of the stack on the fore deck caught fire. The crew attempted to fight the blaze, but were unable to extinguish it before it spread to other containers on deck. Several tugboats with fire-fighting capabilities arrived and assisted in fighting the blaze. 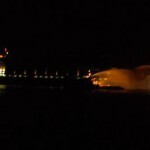 The tugs were able to contain the fire to just six containers the following day. Fire-fighting teams were able to eventually to douse the fire and put out any remaining hot spots. No reports of injuries. Reports state the vessel was adrift and may have suffered some damage beyond the containers on deck. The 42 foot long tugboat Andrew J. capsized and sank while locking through the west lane of the Welland Canal. 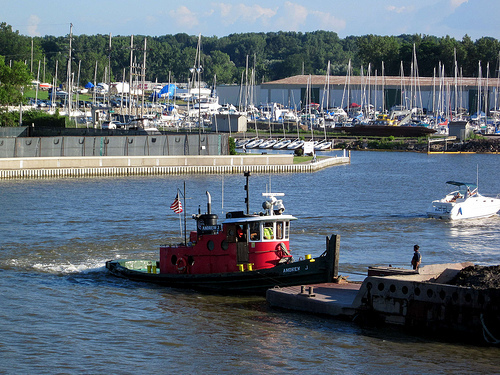 The Andrew J. along with the tug Kimberly Anne had entered the lock with a barge. As the locked filled with water, the Andrew J. lost stability, capsized and sank in the lock. The captain of the tug, the single occupant of the tug, was able to escape. No reports of injuries. Some diesel fuel was released into the water. A large crane was brought in to assist with salvaging the tug. Authorities have launched an investigation into the incident. 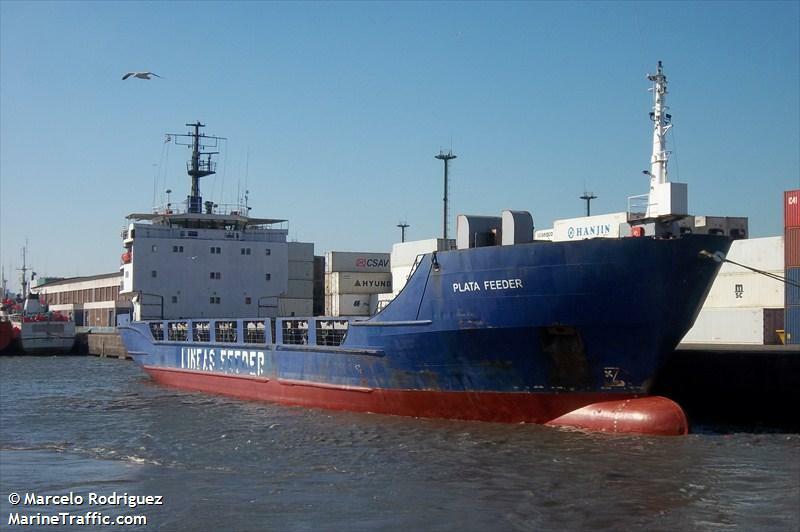 The 225 meter long, 75200 dwt bulk freighter Thisseas and the 89 meter long, 2950 dwt freighter Plata Feeder collided on the Emilio Mitre Cana near Buenos Aires, Argentina. The Thisseas was heading down the canal after loading cargo at Renova when it collided with the Plata Feeder. Both vessels suffered only minor damage. No reports of injuries or pollution released. 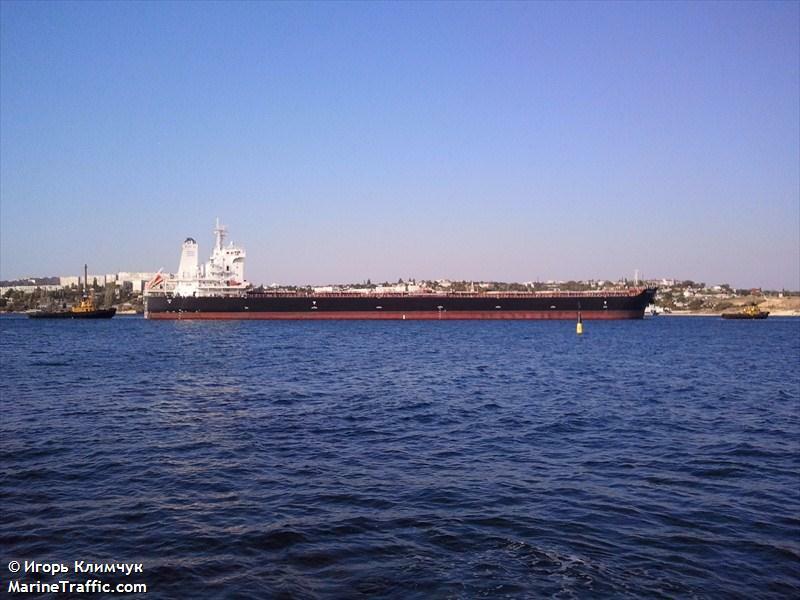 Both vessels proceeded to anchorage off Buenos Aires to be inspected.